NFL Week 1 season is upon us and, as a DFS and DraftKings player, I feel like a kid on Christmas morning. Below I have my DraftKings NFL Week 1 picks for the 2017 season. As they will be all season, these are going to be Guaranteed Prize Pool (GPP) picks for DraftKings. I also like these players for FanDuel in almost all cases, but when looking at pricing I focus on DraftKings only. These are also the players I will feature in my YouTube DraftKings videos, so make sure you’re following me there as I will be posting them on YouTube first most weeks. 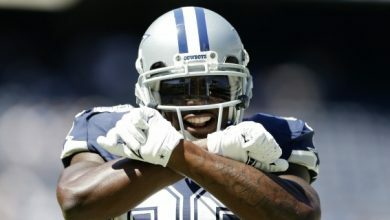 Also, make sure you are signed up for an account at www.FantasyLabs.com. I will be doing private videos over there for members, and you will also have access to my personal “model” in your member’s area. This is how I found my top DraftKings picks each week. The tools over there are almost absolutely necessary if you’re hoping to have a successful NFL season this year. Click here to visit the site and sign up. The Green Bay Packers will host the Seattle Seahawks in Week 1 of the NFL season, and I’m going to be targeting Rodgers and a couple of his pass catchers in Week 1 DraftKings contests for one of my main stacks. Although the Seahawks are known for their defense, they weren’t an elite shut down defense last year vs the pass. Seattle ranked 8th overall in total passing yards against per game, but just 16th in yards against per attempt. Aaron Rodgers averaged 25.6 DraftKings points per game last year, and threw 22 TDs and just 4 INTs while playing at home. Jordy Nelson would probably be the obvious stack to go with Rodgers for your DraftKings lineups, but for the value, I like Davante Adams a little bit more. Adams had easily his best season last year with 997 yards receiving and 12 TDs (his previous high was 3 TDs). Adams averaged 16.38 DraftKings points per game while playing at home last year (his overall average was over 16 DK points per game as well). In order to take down a DraftKings GPP, we’d probably need him to put up at least 20 DraftKings points for – something he did 5 times last year – and he also had games of 31.3 and 41.2 DraftKings points last season. The Cardinals will head to Detriot to face the Lions in Week 1 action, and David Johnson will find his way in a ton of my lineups. This is, of course, a somewhat obvious pick for Week 1 and almost every week of the season, but I know some people will be thinking of not paying the big price tag for Johnson after ending the season with an injury last year. The match up for Johnson is above average as the Lions defense was 18th in the NFL in rushing yards against per game last season, and gave up 4.4 yards per carry which was tied for 20th in the NFL. Johnson averaged 26.6 DraftKings points per game last season, and just under that number when on the road. If you take out the last game of the season in which he was injured, Johnson scored 23 or more DraftKings points in 11 of 15 games played. He gets a massive number of touches each game, and in a plus match up he’s going to usually put up enough DraftKings points to justify the price. This is maybe my favorite DraftKings NFL Week 1 pick. Although one of my top QB plays will be Aaron Rodgers, I still want to fit Montgomery into lineups as well. I’m also not against stacking Montgomery with Rodgers, as he does catch passes as well and both of them could have great games. The match up isn’t great vs the leagues best rush defense last year in yards against per carry, but I have the Packers putting up a good number of points in this game (Vegas does too with a total at 49.5) and I think that gives Montgomery a good chance at scoring 1 or 2 touchdowns. Montgomery is a receiver converted into a running back but has looked great in his new position. Last year he averaged an amazing 5.9 yards per carry over 77 attempts. Look for that number to regress, but I still think he can be an above average running back. In his 3 games that he had 10+ rushing attempts last season he scored 26.1, 9.8 and 33.3 DraftKings points. With a couple of other good options in that price range at DraftKings Montgomery may go overlooked by many, but I think he should have a good game at home in Week 1. He only played 9 games last season due to injury, but Green lead all fantasy receivers in DraftKings points per game averaged 22 points. 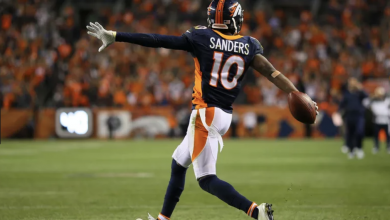 In Week 1 he will get a nice match up vs the Ravens on home field where he averaged 28.6 DraftKings points per game (small sample of 3 games) last year. His price is interesting in Week 1 at DraftKings, as he wasn’t as low as $8,000 all year last season. And it’s not like he’s facing an elite defense. The Ravens were a respectable 9th in the NFL in passing yards against per game last year and 7th in yards against per attempt, but I don’t think they are good enough to warrant an $8k price tag for the Bengals clear #1 receiving option. One of my top value picks this week will be Rishard Matthews with the Titans hosting the Raiders. Although there are going to be a lot of mouths to feed on the Tennessee offense with the addition of Decker, I think there’s a good chance Matthews plays a big role again this year. Down the stretch, Matthews had 3 games with more than 24 DraftKings points and scored double digit DraftKings points in 8 of his last 9 games played. The Raiders ranked 2nd last in the NFL in passing yards against per attempt, making it a great match up for Matthews. He will be in a lot of my lineups, and I would say he’s my favorite DraftKings NFL Week 1 pick as far as value is concerned. With Jordan Matthews traded out of Philadelphia, Zach Ertz instantly becomes one of the top pass catching options for the Eagles behind Alshon Jeffery. He will no doubt be a popular tight end choice at DraftKings in Week 1 vs the Redskins, but that won’t stop me from taking him. Ertz averaged 13.5 DraftKings points per game last season, and in the 2nd half of the season he averaged 17.7 DraftKings points per game. His upside is big for a Tight End as well, as he had 3 games with 22.9 or more DraftKings points last year. The Redskins were 25th in the NFL in passing yards against per game and 21st in passing yards against per attempt. Cincinnati will host the Ravens, who have one of the lowest implied team totals of the Week 1 slate at just 20 points. The Bengals weren’t outstanding in terms of DraftKings points per game last year as a defense and special teams unit, but I think some of that was just variance with few DST touchdowns. 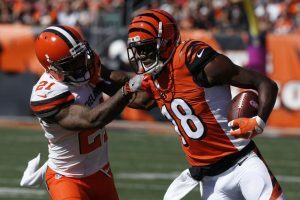 The Bengals were tied for 4th in the NFL with 17 interceptions but scored no touchdowns off those turnovers. Cincinnati also only forced 6 fumbles and recovered 3 of those, which was tied for the worst in the league – but again I think this is a stat that has some variance. Take note that the Bengals were better at home on defense last year scoring a respectable 7.14 DraftKings points per game on their home field. Also using the FantasyLabs trends tool I noticed that the Bengals had a Vegas Score of 66%. Taking a look at all regular season games over the past 3 season where they had a Vegas score of 60% or higher, they averaged 8.5 DraftKings points per game. There are some higher priced defenses I like quite a bit, but the Bengals are my favorite value or sleeper pick for DraftKings Week 1 defenses. That wraps up my Draftkings NFL Week 1 picks. 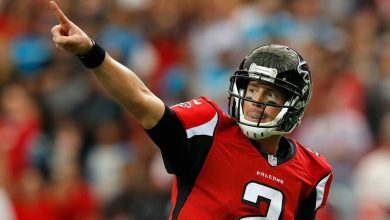 I try to include a few sleeper and value picks each week, but it’s hard to really know who will be a sleeper pick in Week 1 with a lot of new casual fantasy football players joining the contests. 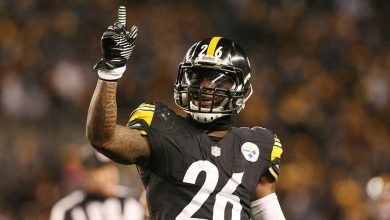 Hopefully you enjoyed this picks article and I hope that a few of these players go off for big games and help you win some money in Week 1. Good luck!